This 1892 building is one of Lompocs oldest historical landmarks located in the heart of downtown Lompoc. 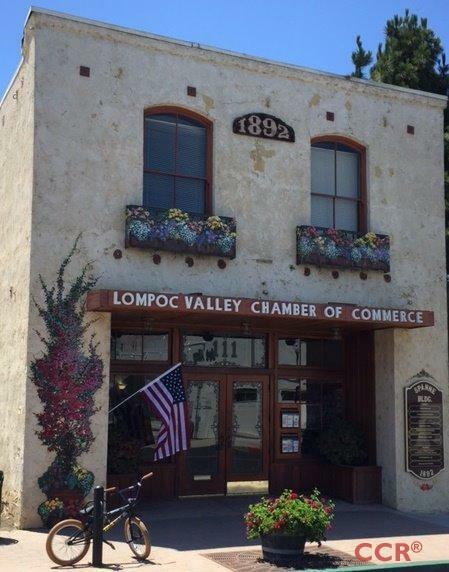 It is currently being used and operated as the Lompoc Valley Chamber Of Commerce & Visitors Bureau. This 2 story building has offices, conference rooms and restrooms located on each level. There is a spacious lobby to great you with abundant light. Conveniently located in Lompocs historical southside district this building can be utilized for many purposes. This commercial site is located on the 100 block of south I street off of West Ocean Avenue. Contact your real estate agent for additional information on this building.